Tangible and yet radiant with the Grace of Jesus Christ. There exist many objects of special reverence and wonder in the world. Some are monuments. Some are works of art. Some are the former possessions of notable people in history. But very few, if any, of these carry a historical legacy and spiritual blessedness comparable to that of the Kurst-Root Icon of the Mother of God of the Sign. This icon of the Russian Orthodox Church was found at the root of a tree near Kursk, Russia in the year 1295. Upon its finding and ever since God has not ceased to work many miracles through its presence and through our veneration of it and of its copies. Through these last 700 years, this icon has been through battles, fire, splitting in two, and also escaping destruction by the Soviets during the revolution. It has touched countless people of all classes and callings: from peasant to emperor and layman to patriarch - believers and agnostics together. Recently in 2008, the Kursk-Root Icon toured Russia where 12-hour lines were formed by those waiting to see it. It was then also venerated by Patriarch Alexey II (+2008) along with Vladimir Putin and Dmitry Medvedev. 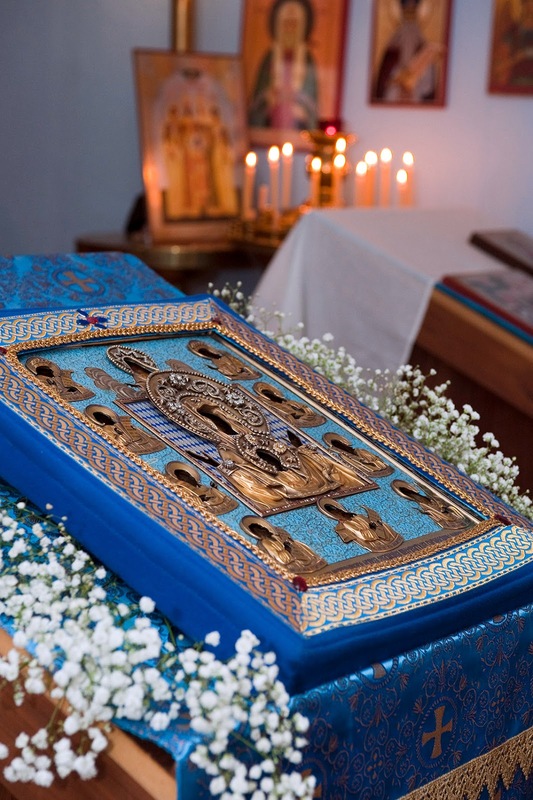 On April 8th, 2014, as part of its tour through Mid-America, the Kursk-Root Icon will visit the community of Holy Transfiguration Orthodox Mission for a single afternoon. We will be hosted in Brimfield, Illinois at the historic Zion Church on 205 E. Van Buren St. The Icon is scheduled to arrive around 3:00 PM and depart around 7:00 PM, but the exact arrival and departure times may vary. Upon its arrival a short prayer service, a Moleben, will be served. It is said that a special presence of Mary is always near the icon, so special care will be taken to maintain an environment of silent, prayerful reverence in the church. Nevertheless, parents are encouraged to bring children near to the icon, albeit under continual supervision. In the church hall adjacent, there will be available books, icons, and other materials for sale. 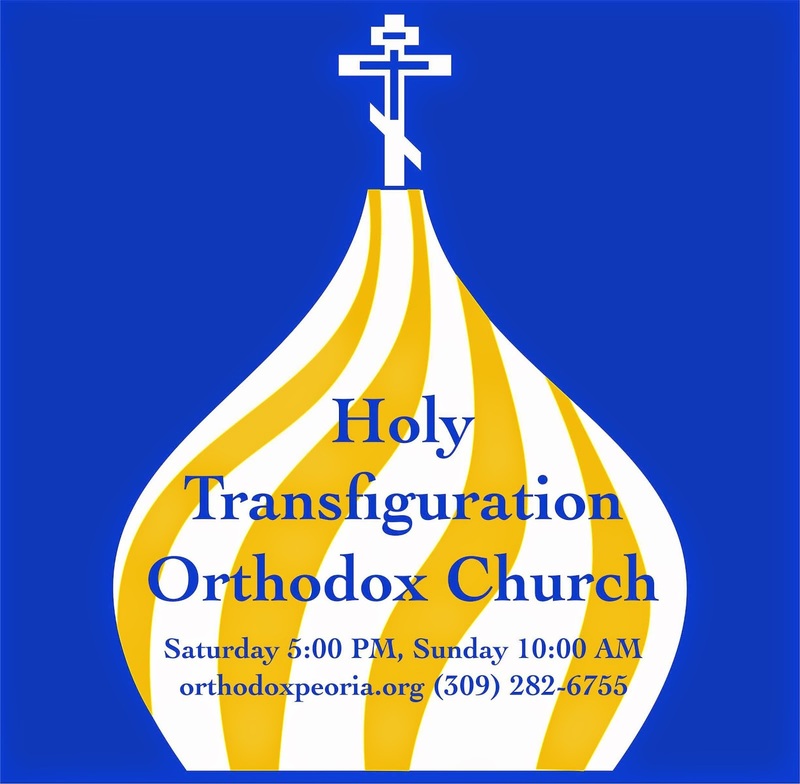 For further questions, please leave a message at the parish phone number, (309) 282-6755.